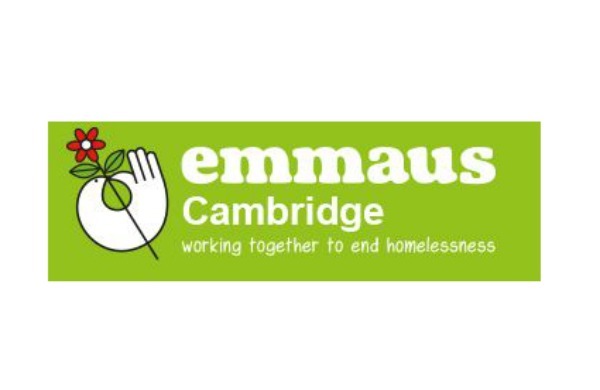 Emmaus Cambridge is a charity which provides home and work for previously homeless people by collecting peoples’ surplus goods and selling them in our warehouse just to the north of Cambridge. The residents (called Companions) volunteer their time in the business in return for all of their accommodation needs and surpluses are used to support homeless and marginalised people. Currently we handle about 60tes of furniture, bric a brac etc, the majority of which is re-used or re-cycled. Emmaus Cambridge supports formerly homeless people by giving them a home, meaningful work in a social enterprise and an opportunity to get back on their feet again. The charity runs a second hand goods warehouse selling donated furniture and household goods which is open to the general public. In addition the charity works with local agencies and support organisations by providing furniture and household goods to those people most in need but without the resources to provide these items for themselves. For many people who experience homelessness, one of the biggest obstacles they must overcome is a loss of self-esteem. Emmaus provides an opportunity to regain this, with a chance to make a real contribution to their community. Emmaus communities are not hostels for the homeless; they provide a home for as long as someone needs it. For many, this support and stability is like the family they don’t have, providing a safe environment in which to settle and rebuild their lives. Often this is an opportunity to overcome issues such as addiction, get support with mental health issues or rebuild relationships with estranged family. Social enterprise is central to the Emmaus model as it provides meaningful work for companions but also generates funding to maintain communities. Companions living in Emmaus communities are expected to sign off all benefits, with the exception of housing benefit which is used to help support the community. The rest of the funding that is needed is generated through social enterprise and fundraising. Emmaus communities deliver a significant return on investment. Research shows that for every £1 invested in a community, there is an £11 social, environmental and economic return, with savings to the benefits bill, health services and a reduction in crime. Emmaus Cambridge currently has 37 bed spaces available for formerly homeless people and during 2016 52 people have benefitted from access to these places. In addition, the community welcomes volunteers who come and work alongside our residents (known as companions). Our social enterprise currently makes about 65 collections of donated furniture and household items per week and has also recently started offering full house clearances. Our shop is open seven days a week offering low cost, quality second hand goods to the general public and last year's trading income from this was £725,000. Within the Emmaus Movement, Emmaus Cambridge has supported Emmaus International, Emmaus Europe, Emmaus UK and individual communities at Satu Mare in Romania, Norwich, Preston, Medway and Salford. In addition, the community responded to the DEC Ebola appeal, the Buckingham Emergency Food Appeal and the family area at Cambridge's Strawberry Fair. In the region of 87 families were referred to the community for support with reduced cost furniture (an average package is £400 worth of goods for a cost of £60) and the community has also worked with other local homelessness agencies to provide sleeping bags and other provisions for the alleviation of rough sleeping in Cambridge City. Emmaus Cambridge has spent approximately £15,800 supporting the 87 families who have benefitted from reduced cost furniture. Support of Emmaus's international work has cost the community approximately £28,628, and £28,556 has been spent supporting other Emmaus communities in the UK. £2,500 has been invested in supporting other organisations in addition to the provision of sleeping bags and bedding to people sleeping rough in Cambridge. A social return on investment (SROI) study carried out in 2012 by social and economic company Just Economics demonstrates the impact of Emmaus's work, both for individuals and for society. The research forecasts that each year Emmaus communities generate £11 in social, environmental and economic return for every £1 invested.